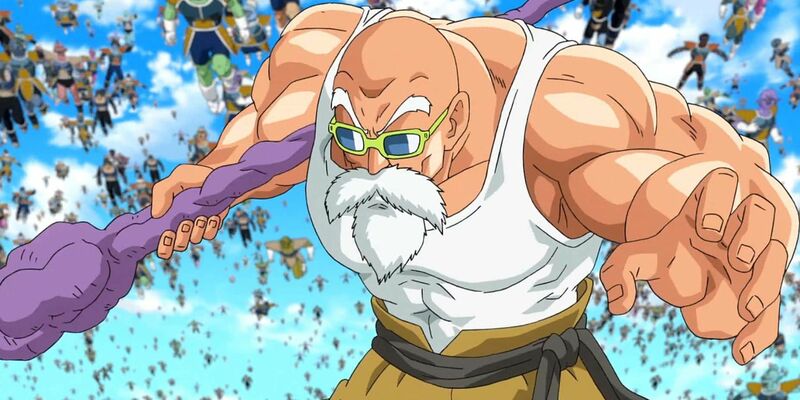 Master Roshi is probably one of the most important characters in the Dragon Ball franchise, as he's the person who helped to train Goku, teaching his young pupil such famous moves as the Kamehameha. Although he's definitely something of a pervert, the character has had some pretty amazing moments in the Dragon Ball franchise. For example, Roshi is responsible for delivering the first Kamehameha in the franchise. He first used the move in the early days of Dragon Ball, when he attempted to use a Kamehameha to put out a fire at the Ox King's castle. This, of course, destroyed the castle in the process. Another one of Roshi's finest moments came when attempting to teach his students a lesson at the World Martial Arts Tournament. Roshi entered that tournament as Jackie Chun, so as to defeat them and teach them that there would always be someone bigger and stronger. The goal here was to motivate them to keep training. Even by the time Dragon Ball Super rolls around, Goku hasn't found out the truth that Jackie Chun was, in reality, Master Roshi. Considering how powerful Goku is now, it's somewhat crazy to think just how strong that means Roshi must have been. He was also able to use his quick thinking to stop Goku's Great Ape form by destroying, well, the moon. RELATED: What Does the Z in Dragon Ball Z Stand For? Check out the video below for more of the most savage Master Roshi moments in the Dragon Ball franchise. Although Master Roshi hasn't been a particularly formidable force since the end of Dragon Ball, he's still helped Goku and the Z Fighters out of their most dire predicaments. He's also still among the strongest human fighters in existence, despite his advanced age. It's likely that there are still trick or two up the old teacher's sleeves that might come out before the franchise is finally put to rest.